So, um, yeah, other things happened and I haven’t been out botanizing in a month, and I have a backlog of flowers to write about, even though the season is over. 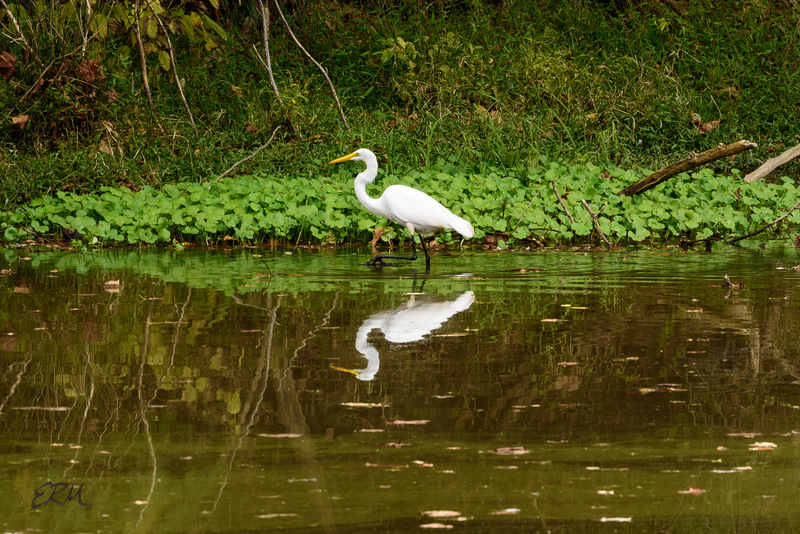 In the meantime, please enjoy this picture of a great egret (Ardea alba) standing in the C&O Canal in early October. Great egrets are found in every county in Maryland. You might think they’re a white form of the frequently-seen great blue heron, but no: those are found only in south Florida, according to the Cornell Lab of Ornithology’s All About Birds website.